Today, I'm debuting a new feature on the blog: Redesign It, where you get to weigh in on changes you'd make to a piece of royal jewelry if you had the chance to rework it. One of the most interesting aspect of royal jewelry is the extent to which it's reset and reimagined by each generation of wearers, who customize and personalize the piece to better fit their style and taste. 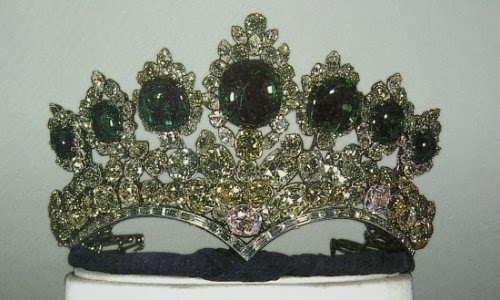 Today, let's take a crack at one of the most ornate tiaras from the collection of the former imperial family of Iran. 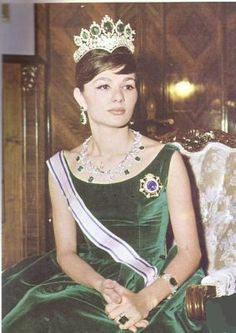 This is the Seven Emeralds Tiara, made in the 1950s by Harry Winston for Empress Farah Pahlavi. 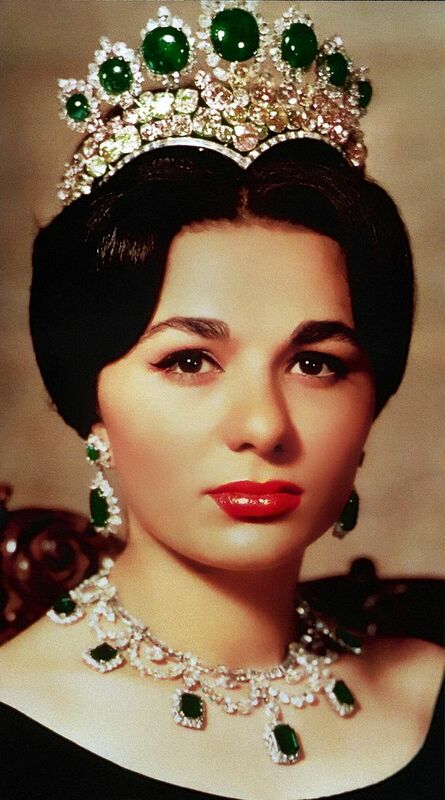 Today, it's a part of the treasury of jewels owned by the state of Iran. But if you had a chance to make alterations to this piece, which features seven large cabochon emeralds set amid an array of white and colored diamonds, what would you change? 1. Cropped version of an image available via Wikimedia Commons; source here.